A bright young student, a globetrotting star, and a highly respected married couple—each deeply immersed in the tradition of Hindustani classical music. A Monsoon of Music tells the story of these four musicians whose lives intersect in the small mofussil town of Tamulbari on the banks of the Brahmaputra. 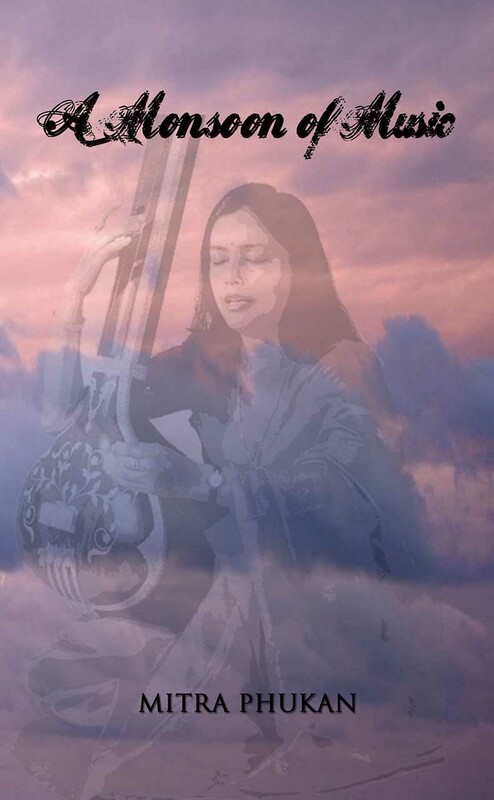 Against the backdrop of musical heritage and haunting ragas, Mitra Phukan sweeps us into the lives of her characters: the ambitious sitarist, Kaushik Kashyap, who tours the world with his beautiful Italian student; Nomita, the shy small-town vocalist whom Kaushik's parents have chosen for him; the beautifully serene Sandhya Senapati and her husband, the handsome Tridib Barua, who seems to be hiding dark secrets; and the well-known industrialist Deepak Rathod. As the eventful monsoon months give way to autumn, they each come to deeper understandings of themselves even as their lives change dramatically. By turns serious, deeply moving, and utterly irreverent, Phukan's eye for detail, her immense knowledge of Hindustani classical music, and her profound understanding of human nature come together in this remarkable novel.